No, not me silly! I got engaged this past February. It’s actually someone who is like a sister to me but no, I’m not talking about Sister Big Eyes, although she just got engaged in May. Can you tell she’s related to Mr. Sword? 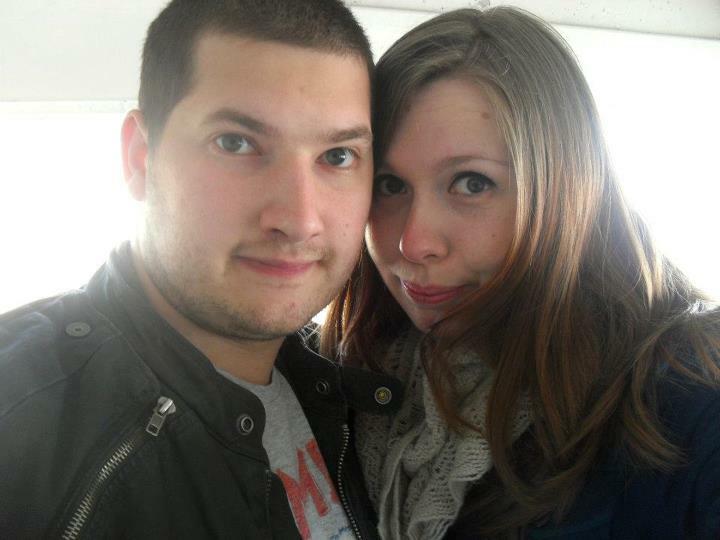 Wee Sis and her guy B have been together since Uni (college) and already own a house together (because they are that cool)! It is a real bummer we don’t live closer because they are awesome people and it’s a shame we don’t get to see them very often. It’s hard to have family across the pond, but thankfully with email and Skype, we are able to keep in touch pretty often. 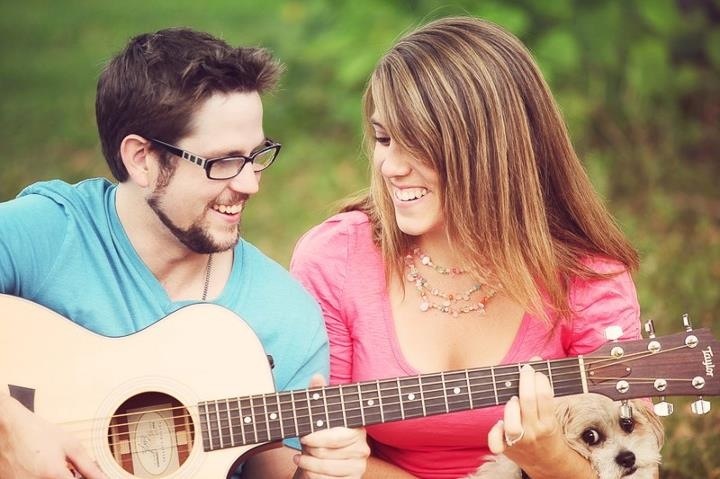 I can’t wait to see them in March at our wedding so I can congratulate them in person! 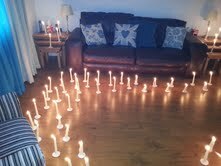 B was quite the romantic when he proposed to Wee Sis! 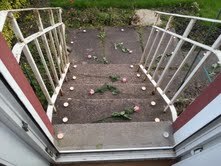 He led her up the front steps and through the house by way of 100 candles and lots of flowers! Wee Sis said that while they had discussed getting married quite a bit, she had no idea when the proposal was coming! She was completely surprised (and a bit warm due to all the candles) when it happened! Not only am I excited for their wedding because they are part of my new family, but also because it will be my FIRST Scottish wedding in Scotland! True to UK style, they are going to have a long engagement of about two years or more so they can enjoy this special time and save a bit of money. Wee Sis is ready to start reading Weddingbee for ideas though! Well, that’s me fresh out of sisters, so unless The Glue is ready to tie the knot (he’s not btw), then I guess I’m done sharing family related engagements for a while! I love to hear engagement stories, did anyone you know recently get engaged? How cool is it that BOTH my sister and Mr. Sword’s sister are engaged? I want to share something with the Hive. It’s something that affects me almost daily at this point, it’s something that I’m scared will flare up around my wedding this coming March, something that could affect my ability to move and walk. It’s my about my back. I have chronic back problems. And in March of 2011, I had back surgery. Yes, at age 27 I was in surgery for my back. To put this in perspective, Grandma Sword said a few of her friends had gone through similar surgeries, so yea, not something too common in my peer group. I was rushed into surgery a mere 18 hours after meeting with my surgeon and hearing that I had a fully herniated disc. Originally, I tried physical therapy when the pain first started but after an MRI it was clear that I needed surgery. I ended up having a relatively new procedure called endoscopic microdiscectomy surgery and my recovery was fast. A few months later the medical bills started rolling in, and to this day I’m unsure what was worse, the most intense physical pain I’ve ever felt in my life or the staggering amount of emotional distress I endured while dealing with my insurance company and the hospitals. Mom Sword took care of me for a full week post-surgery. We co-existed in my studio condo better than we ever thought possible and it’s created amazing memories for us. My Mom is the best!! If my surgery story were a fairy tale it would go something like this: Once upon a time a relatively active artist who experienced minor back pain on occasion lived a very happy albeit dramatic life. One day she was in rehearsal for a show and something just didn’t feel right. A few days later the artist couldn’t get out of bed. That night her Scottish Knight in shining armor drove her to the emergency room. After four hours she finally received pain meds only to vomit them up, and eventually begged to be admitted. Twelve grueling hours AFTER THAT she received some magical medicine in her back that got rid of the pain but caused her to lose all feeling in her left leg. The artist stayed home from work to rest, got an MRI, and met with a back wizard a few days later who told her that if she didn’t get the disc debris off of her nerve, she would eventually lose all ability to control her leg AND possibly go on to lose control of her vaginal and rectal muscles. Once those were gone, the wizard told her, there would be no way to get them back. The artist was rushed into surgery with the Scottish Knight by her side the whole time. Her back wizard was a special wizard and had learned a very fancy technique in Germany where he used something the size of a pen to go in through her side as opposed to the more invasive route of going through her back tissue. Because of his special powers, the artist was able to recover in a few weeks as opposed to a few months. 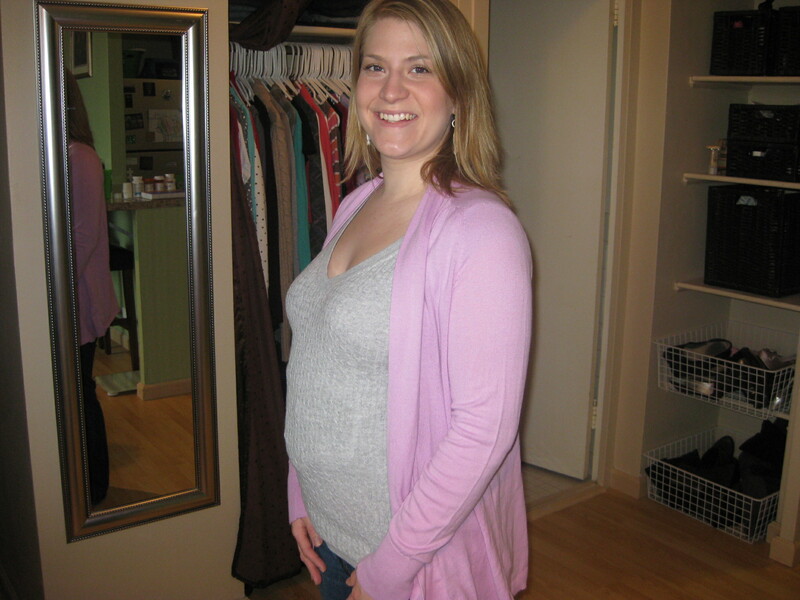 My fake “back brace” baby bump. While her back felt better for the time being, the artist had to spend a lot of time in therapy to re-gain the use of her left leg. She was one of the lucky ones because she got almost all the feeling back in her left leg except for two toes that are still partly numb. The wizard told her to never run again and to focus on core strengthening and Pilates. The artist didn’t care all that much for running or working out in the first place, so she was OK with this. And for a year she felt pretty good… that is until she started working out again more frequently right around the time that she got engaged. Honestly, I have no idea how this fairy tale will end. Right now, I occasionally feel this really sharp pain in my back. The nerve isn’t being damaged anymore, but two of my discs rubbing together and sometimes it’s so bad I can’t get out of bed. I might have an artificial disc put in at some point, or I might have to get my two discs fused together, and more than likely, I will have more herniated discs in the future. I know many people suffer from bulging or herniated discs or other back pain, and more often than not they just want to help, but it’s so annoying to hear that my back would be fine IF ONLY I lowered my stress level and used more ice packs. My surgeon says it’s mostly a case of genetics, so it’s very likely that I’ll have a relationship with him for the rest of my life. How does all this pertain to my wedding? Well remember my post on irrational fears? My very REAL fear is that I’ll have some back pain around the week of my wedding. I just had a really bad week with my back, almost passing out from the pain as I walked to the bathroom in the middle of the night to go pee. I have no idea what happened but sometimes things shift around in there and it causes such pain that I cannot move, let alone walk. Working out for me is mostly non-existent because even Pilates sometimes causes discomfort the next day. The issue is how do I strengthen my core when movement is what causes the problems?!?! Right now I’m focusing on using my resistance bands to tone my arms (you know how I feel about my arms), walking a lot, and eating healthier. While there’s not much calorie-burning going on, it’s a start. And I don’t just have fears about the wedding. I have fears about carrying a child someday, convinced I’ll be on bed rest the entire time because my back won’t be able to take the extra weight. I’m scared that this back issue will be an ever-present drain on my relationship with Mr. Sword (even though he’s been amazing), as well as a drain on our funds. And I promise my next post will be 100% more uplifting! It includes a little girl and trying on dresses. Not much cuter than that! Does anyone else have a physical aliment that gets in the way of life at times? Are you worried about it affecting your wedding too? Hi everyone! 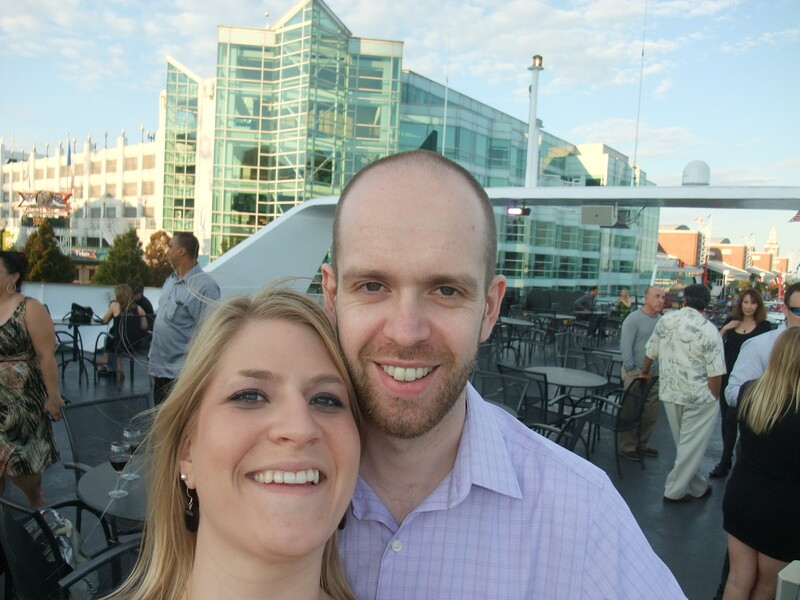 Today I’m joining the pop quiz series to talk about wedding details! These don’t include the big stuff like your officiant, photographer, caterer, or buying THE DRESS. 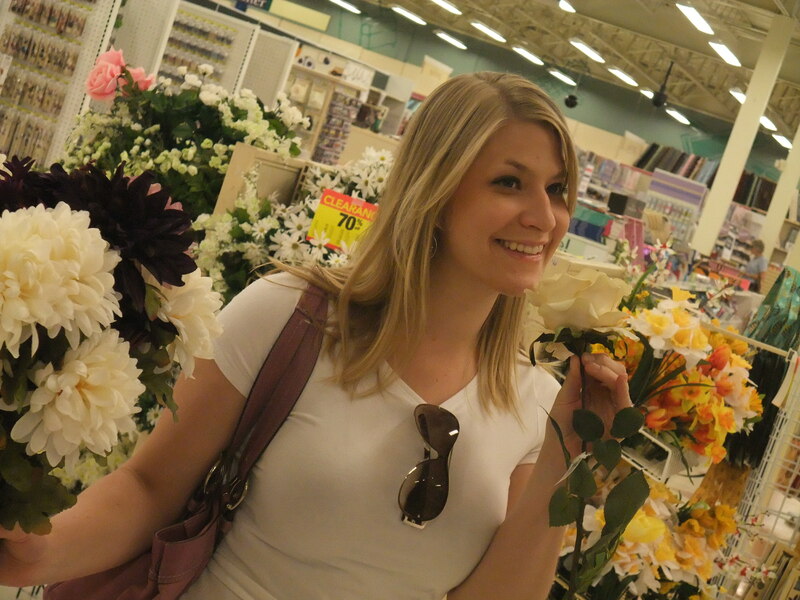 Instead, I want to talk about All The Little Things that go into planning a wedding. Because it’s a lot of fun and more often than not, the details are where we get to be the most creative! 1. Which of these options best describes your personal wedding theme? 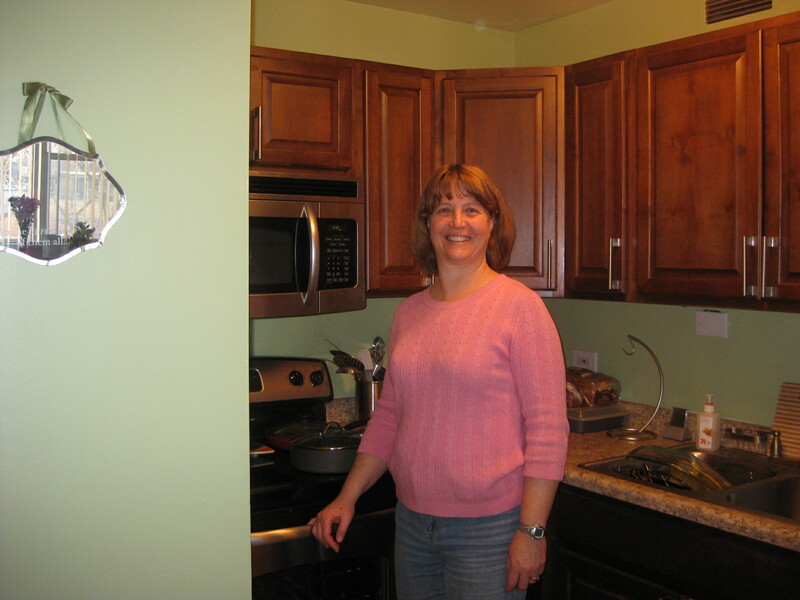 Miss Sword Says: I LOVE THEMES! I would say our wedding is mostly D with a side of B as well. Those of you who have been following my posts know that I refer to my wedding as “A Highland Fairy Tale.” Does your wedding have a title? If so please explain in the comment section! 2. What became your favorite detail over the course of your wedding planning? Miss Sword Says: I would have to say A or D, but to be honest, none of the little details got me as excited as picking my photographer, venue, or dress! 3. What detail of the wedding did you struggle to care about, if any? Miss Sword Says: This is going to sound really weird coming from a girly-girl, but definitely C. I have no idea or vision for my jewelry, I’m still very unsure which route I will use to get my veil, and if you’ve read my one idea for bridal shoes, you know I’m nowhere near solving that one. At least I have the most important piece (the dress)! 4. Where did you get most of your wedding detail ideas? D) Most of my ideas are unique to me! Miss Sword Says: A. Duh! I love wedding blogs!! I like to think some of my ideas are unique, but I’m sure if you tried hard enough you could find someone who’s done it first. But who cares? 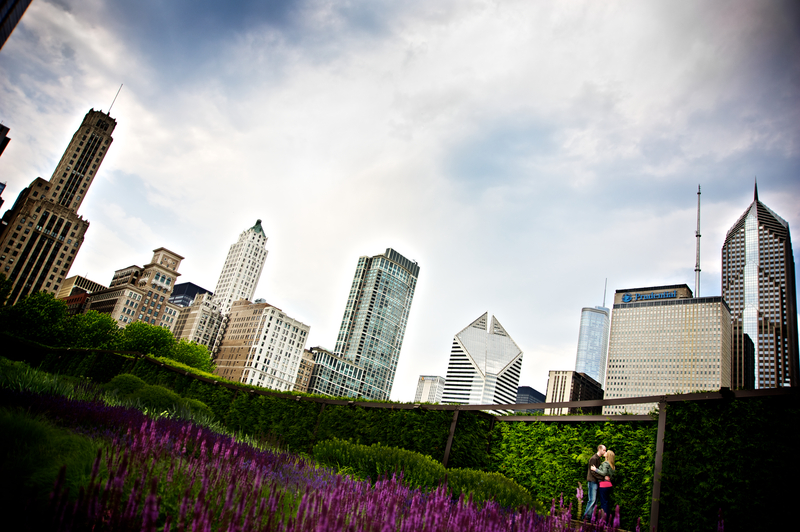 Weddings can’t help but be personal reflections of the couple no matter where the details come from! 5. Are you making a lot of your wedding details? A) Yes! I’m a DIY fanatic! It’s fun and it’s saving me money! B) NO WAY. I’m a destroy-it-yourself kind of person. I’ll be buying most things. C) I like to pretend I DIY and sometimes I even buy the materials, but usually I just end up ordering because it’s more time-efficient. D) I DIY most things but it’s because I’m really good at X, Y, or Z (graphic design, painting, sewing, etc). Miss Sword Laughs Says: B. Remember when I asked the hive about whether or not I could make my dream cake topper? Well, I’m probably gonna end up ordering that soon. Glad I’ve spent about three months just thinking about DIYing it. FAIL. 6. Who has been the most helpful person with All The Little Things (other than your partner)? Miss Sword Says: A. Mom Sword ROCKS! She is constantly on the look out for wedding related stuff and she’s usually spot on! 7. How many times a day do you think about a detail related to the wedding? C) Can’t even count, it’s constant! D) Umm, rarely, my life is too busy for constant wedding planning! Miss Sword Says: I don’t really want to answer this, but of course I will; I have to say B or C. I definitely don’t think about my wedding every minute of the day, and I MAKE SURE to talk about other things when having conversations with people outside my bridal bubble. But my brain moves fast and I get ideas for planning (or for blogging about planning) ALL THE TIME. It’s a bit exhausting… but mostly awesome. 8. Finally, is there a wedding detail that is pretty pointless in your humble opinion? G) Nope, all of those things will make an appearance at my wedding! Miss Sword Says: I have to say G. I am excited about my wishing stone guestbook. I’m going to attempt to make menu cards (assuming there’s time); I love the idea of DIYing bathroom baskets for your guests, just like Miss Dragon! My awesome Boss Lady has already agreed to make our ceremony programs, and I plan to have both welcome bags for all of our OOTG’s and favors for everyone! Phew, so much to do! 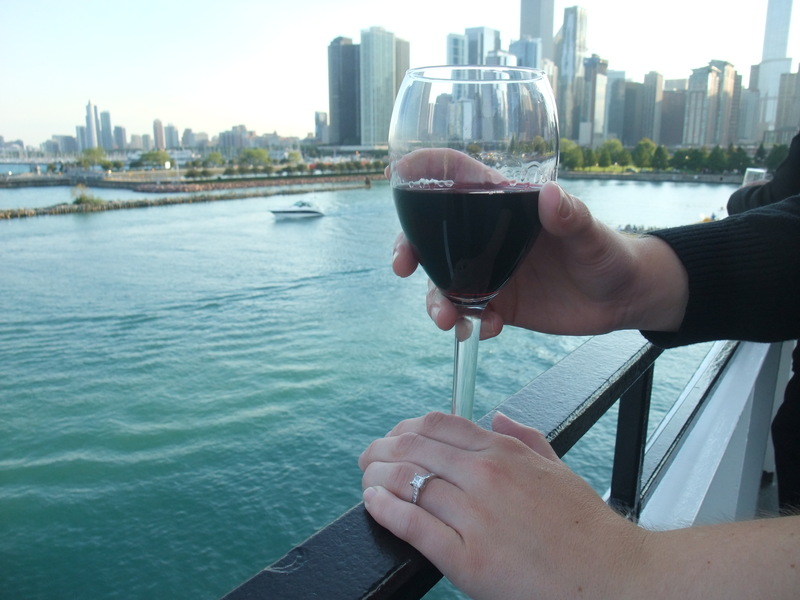 We were out on a dinner cruise and the waiter asked us if we were celebrating anything special (we were not), but after he left it dawned on me, it was the 19th of August, six months ago to the day was when Mr. Sword took me to the top of the John Hancock and proposed! So we celebrated. 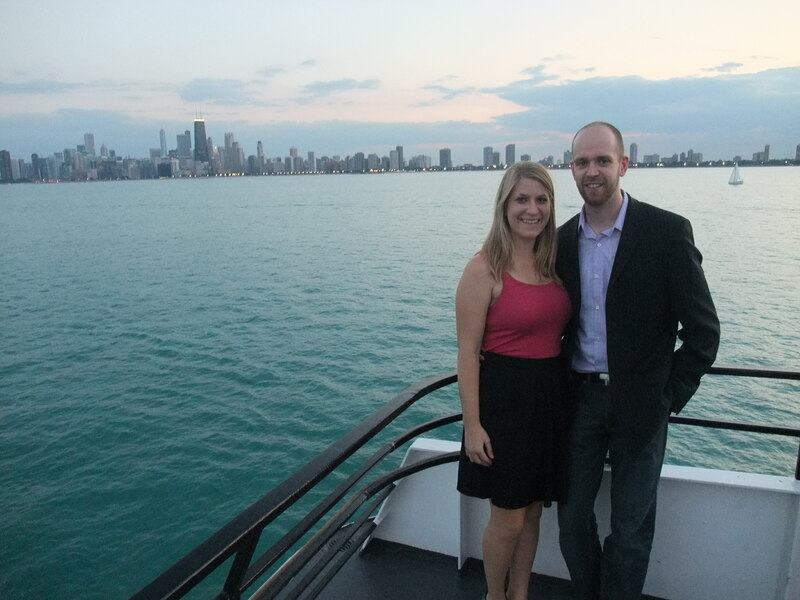 The dinner cruise was on a ship called the Odyssey that takes off from Navy Pier. Boss lady had bid on it at a silent auction and then gifted it to Mr. Sword and I. Man, were we grateful!! 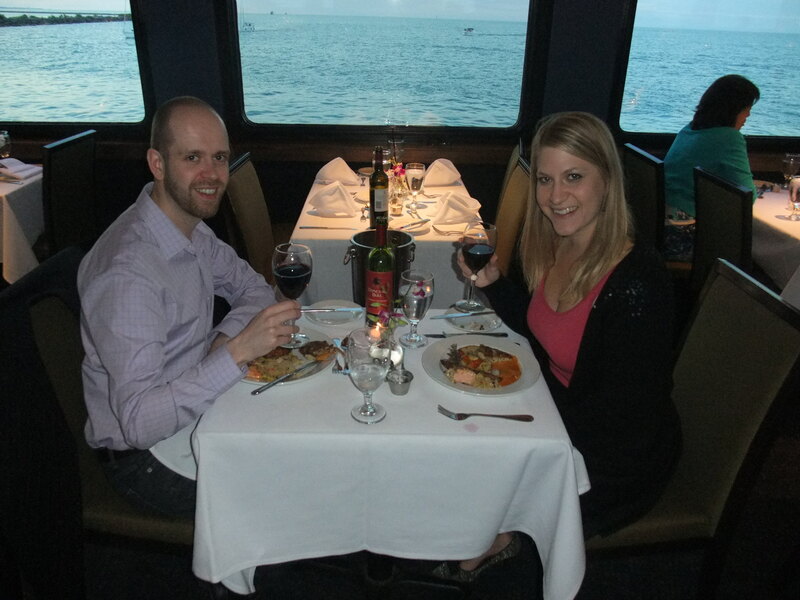 Tickets for the three-course meal, live band, and amazing view are a bit on the pricey side but the only thing we had to buy were our drinks and gratuity. We ended up splitting a bottle of red wine and celebrating our engagement basking in the evening glow of our favorite city. It was the most perfect date night. 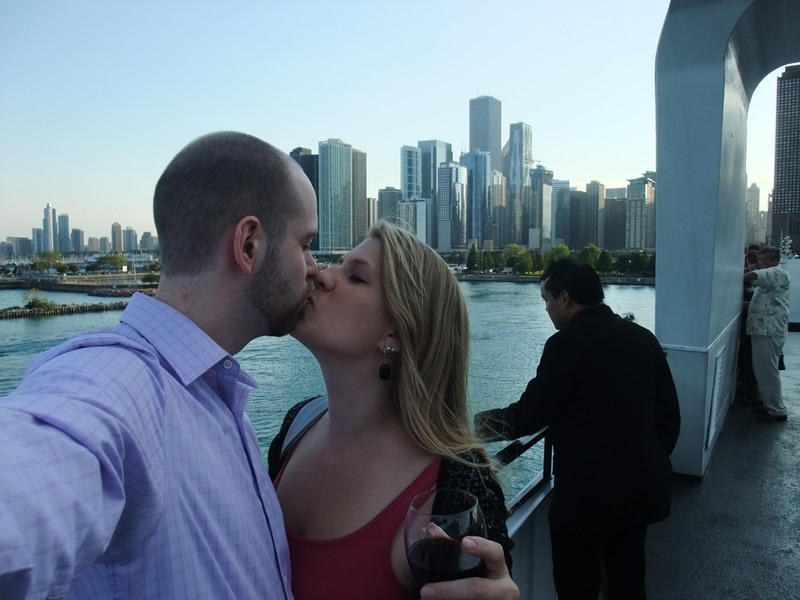 Seriously, if you ever go to Chicago and have the time/money to go on a dinner cruise, do it! 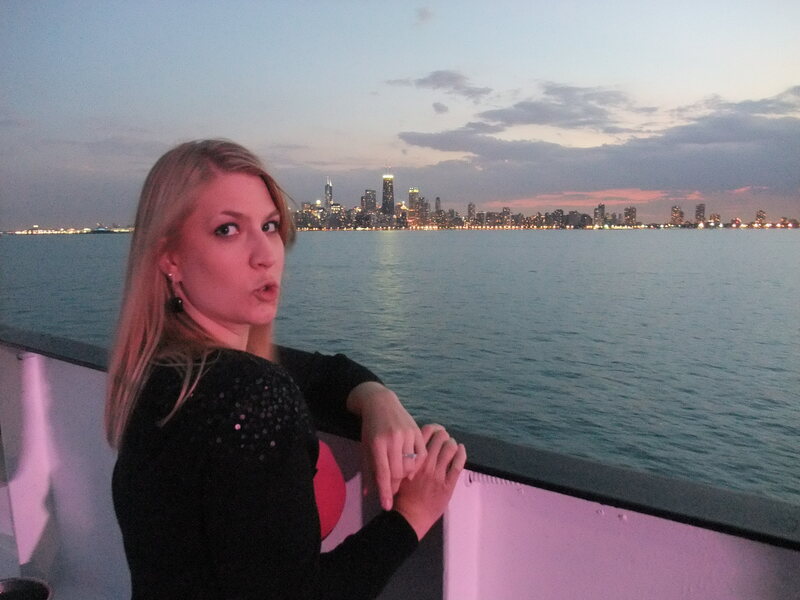 One of my favorite things about Chicago is the skyline, and it’s absolutely gorgeous at sunset on a boat. Dear Mr. Sword, I love you so much! You have been such a wonderful fiancé for the past few months and I’m so lucky to have such a helpful and smart groom-to-be. Another half a year to go til we say I do! This journey has been one of the best I’ve ever taken. 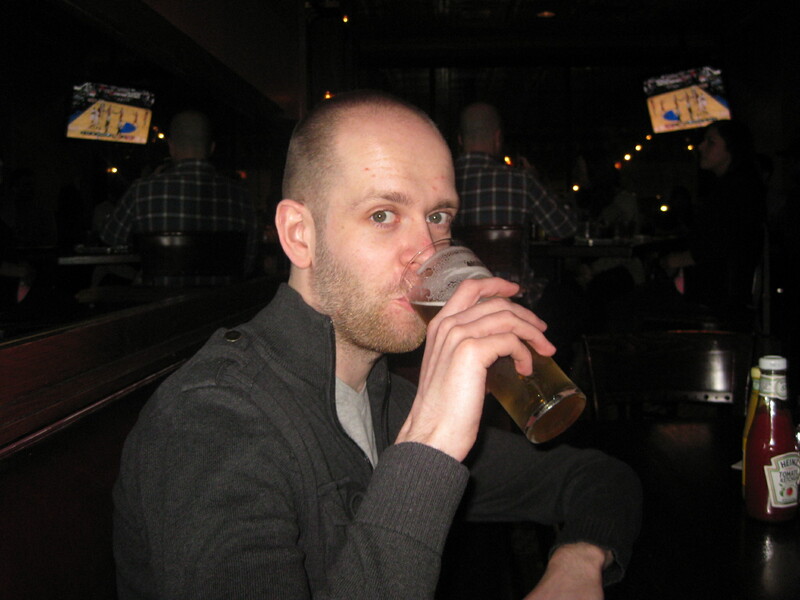 You’re my most favorite tall skinny Scottish man ever! 🙂 Muah! 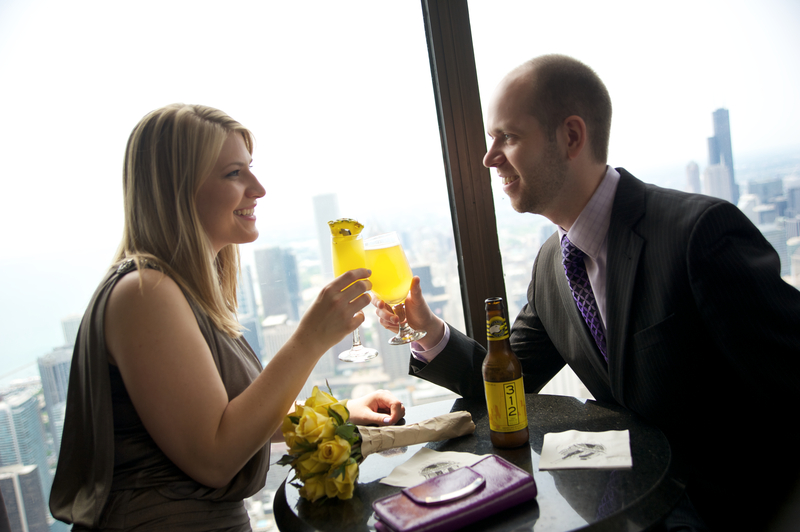 Has anyone celebrated their engagiversary at the half-way mark or at a year? Anyone else remember last-minute like us? Sorry about my stupid clever new wedding related word. Maybe it’ll catch on with like five people. Maybe. Remember when I said I had booked our photographer? WELL, I’m ready to reveal who that is, and ready to reveal proof of her awesomeness from a very trusted source: Sister/MOH Big Eyes! Sister Big Eyes has first-hand experience of working with my photographer because Sister Big Eyes and FBIL have booked the same said photographer! Here’s the thing, Sister did not want to do the same amount of research her older sis did, she wanted to get a reasonably priced deal with a quality person, and she came to Mr. Sword and I for information. While we were in Minnesota meeting with our four choices, Mr. Sword and I were keeping Sister Big Eyes and FBIL up to speed on what we thought of each meeting. Once we came to the conclusion and booked our photographer, they muddled it over, did a quick online search and ultimately decided to go with the same woman. Crystal Liepa. Sister Big Eyes reports that she is a JOY to work with. Crystal is easy-going and fun, welcomes personal photo ideas, but at the same time doesn’t run out of new and interesting shots herself. She’s bubbly, smart, and a full-time photographer! I can’t wait to get my own chance to work with her in March! From what I heard their shoot was a blast, filled with laughs, and even my little nephew-pup Fibonacci, (my sister is a math nerd), got to join in on the fun! They chose to go back to Lake Calhoun (a beautiful and popular lake in Minnesota), where they got engaged, for one of their locations. Sound familiar? They also hit up a Dunn Bros coffee shop because FBIL is a coffee-addict like myself, and because coffee shops are the best places to have a first date with a person you met online. Yes, Sister Big Eyes and FBIL are a Match success story! I bet you know someone who’s met on Match, it’s the place to be! 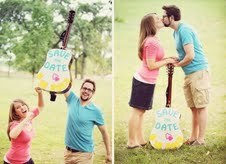 Here is just a peak at their adorable photos! All photos by the lovely Crystal Liepa. Honestly, I am thrilled with our decision to use the same photographer! I think it will only benefit us all over the next year, allow for more comfortable family photos, and make our Rock the Frock Sisters Shoot feel like one big, happy reunion! Tis the season to be sharing… with my sister. AGAIN. 🙂 What’s next? We’ll have to wait and see!! What do you think of MOH Big Eye’s engagement session? Can you tell they play guitar and love music? Is anyone else shrendoring too?